-Cut the baguette hotizontally in two parts and then cut it in two halves again in order to have 4 sandwiches. Brown them under the oven grill. 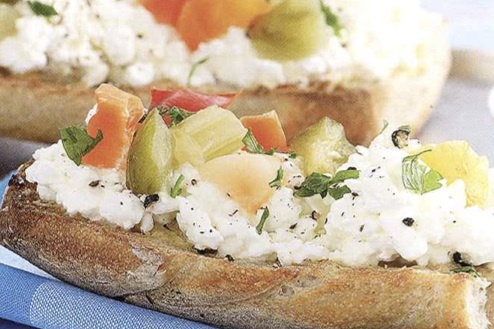 - Spread the mustars on the grilled bread. Spread the Ricotta with a teaspoon. Add salt and pepper. 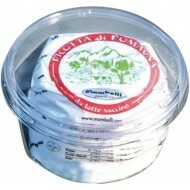 - Put the pickles on the Ricotta of Romagna pressing softly and then sprinke abundant trited parsley.